Is your child the next E-Sports star? At a conference in the Etihad Sport’s Stadium recently, I listened with awe. Ex-professional sportsman, Thomas Kerbusch was speaking. Last year’s “League of Legends” World Championship attracted more viewers than the NBA Finals. A multi-player video game played competitively in an organised format. 5 years ago, there was 500 pro’s earning a modest wage. There’s now 12,000 earning 7-figure salaries. Street Fighter, League of Legends, Counter Strike, Warcraft etc…. Unlike the real sports - some person or body actually owns the IP of these metaphorical sports. A day in the life of a Pro? Kerbusch spoke of 6-8 hours training per day, followed by ‘video review’ sessions with a coach, physio sessions on wrist injuries, and social media sessions with fans to discuss tips and tactics. Players peak between the age of 16–23 before wrist injuries and reaction times deteriorate. They’re regularly dope tested in competition. Currently in Asia, Continental Europe and US. Riot Games, one of the leading e-sports companies, has just opened a European centre of e-sports in London. It's expanding. The sky is clearly the limit. It will soon be popular worldwide. However, the regulatory framework is underdeveloped. Codes of conduct, player contracts, player transfers, participation (IP) agreements, anti-corruption measures, data protection issues, e-sports specific sponsorship etc…. It’s coming to Ireland, watch out. 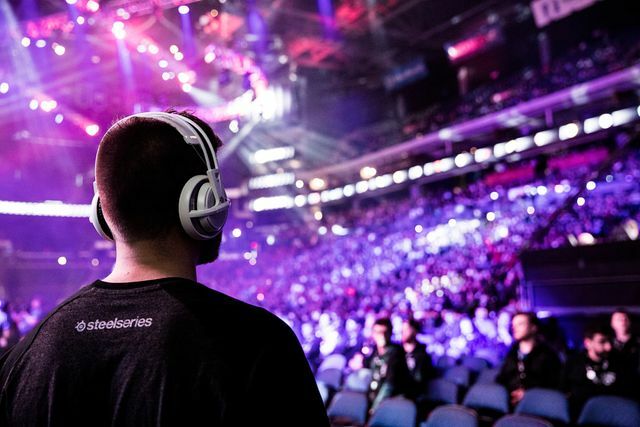 In the coming year, the global Esports Economy will grow to $905.6 million, a year-on-year growth of 38%. Is Women's Sport Visible ? A lot (of sports arbitration) done, more to do ! GDPR - What Next ?